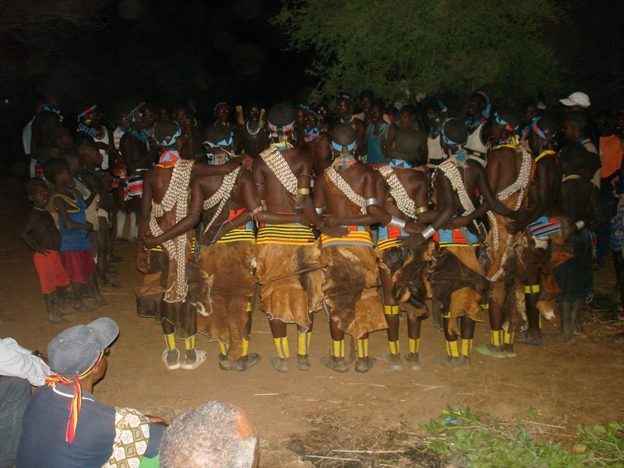 In the Bena Hammer and Karoo the Ivangadi dance takes place at night when the grain in the field becomes ripen enough to be eaten and during the festivity. The Ivangadi or dance of night is a court ship ritual that involves all the village youth. The court ship begins by the dance of girls approaching the partner they have chosen, who also demonstrates his interest by dancing with her. 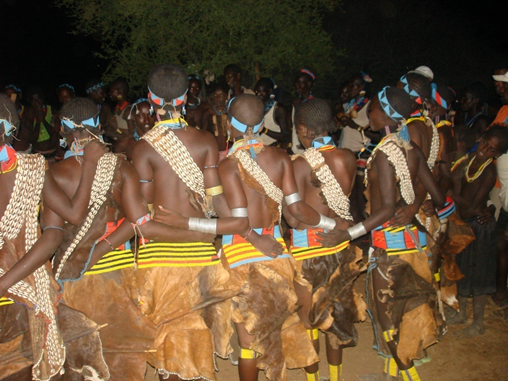 The dance lasts for hours and it attracts visitors.